Human encephalon resembles, in structure and function, with that of the other vertebrates. 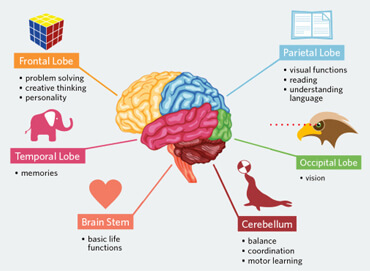 The scientists reveal that parts of the human brain are Forebrain, Midbrain & Hindbrain and the related structures that collectively act as a single highly specialized unit. 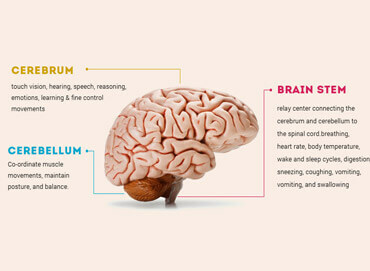 These parts work in coordination and perform different functions of brain. More specifically, it is divided into five major regions, namely, telencephalon, diencephalon or inter-brain, myelencephalon (hindbrain/medulla oblongata), metencephalon and mesencephalon (midbrain). Here follows a precise but comprehensive description of each of the above given divisions. Further composed of cerebral cortex, limbic and basal ganglia, it is the superior-most part of the vertebrate CNS (Central Nervous System) and is divided into two symmetrical left and right regions called cerebral hemispheres. In controlling the deliberate or voluntary activities in the body, as its primary function, it takes the help of another brain division, the cerebellum. In the advanced mammalian species, the ridges (gyri) and furrows (sulci) serve to increase the surface area of cerebral cortex without occupying much volume. 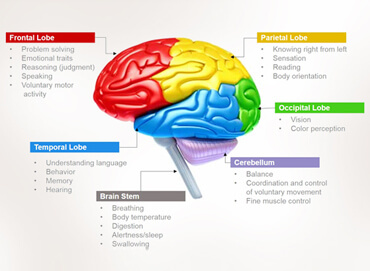 The primary human brain functions performed by telencephalon include language & communication, body movements, olfaction, learning & memory, sensory perception, and so on. 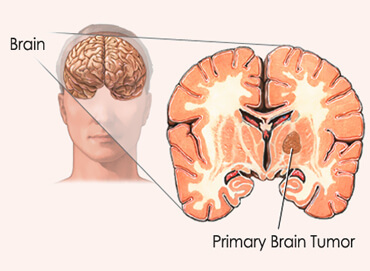 The anterior structures of front part of your brain consist of cerebrum, while the posterior ones are contributed by interbrain that forms a region of the vertebrate neural tube at the upper portion of the brain-stem. Thalamus, epithalamus, subthalamus and hypothalamus are the four sub-divisions. Here Hypothalamus is one of the parts of the human brain that initiates, coordinates, maintains and assists in the successful accomplishment of a number of visceral activities with the help of its hormonal secretions. Moreover, the sensory Optic Nerve, coming from the eye through optic canal, gets attached to the diencephalon and plays a role in vision. Anatomically comprised of cerebral penuncles, tegmentum, tectum and a number of fasciculi and nuclei, it forms the middle region of brain and an important part of Central Nervous System (CNS). It performs a number of individual tasks of vital importance, namely, wake/sleep, alarming, motor control, hearing, vision and the regulation of body temperature. On its anterior end, it is connected with forebrain and on the posterior end, it is attached to metencephalon (or pons), thus placed near the center of your brain. Substantia nigra, a sub-division of the mesencephalon, is involved in the production of physiologically very important organic compound, called dopamine that plays the role of habituation and motivation in species ranging from humans to the members of phylum insecta. 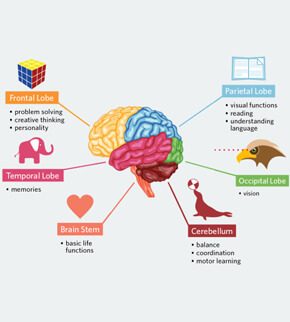 Composed of cerebellum, pons, different nerves and fourth ventricle, it is an important portion of the developmental division of your brain and performs vital functions associated with Central Nervous System (CNS), viz. muscle movements, sleep, circulation, balance, arousal and cardiac reflexes. 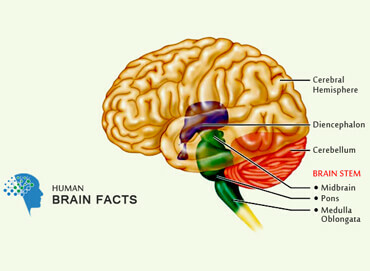 If you want to know about the wonderful working of different parts of brain, just go through the interesting human brain facts. Forming an important subdivision, it is the lower most part of your brain that serves to mutually connect the two major structures of CNS, namely, brain and the spinal cord. Medulla oblongata is comprised of the lower part of brainstem (or hindbrain) and contains different control centers, viz. vomiting, cardiac, vasomotor and respiratory to conduct various autonomic and involuntary activities in the body, like, breathing, blood pressure, heart-beat rate, and so on. Any of the diseases of human brain affecting this part will make it unable to perform the given functions appropriately. After going through the description of different parts of the human brain, you would have realized that it is fairly difficult to learn and memorize them, and you are right. Still there is a way that can help you a great deal. Firstly, you should dissect the long and difficult words into their constituent parts. For example, mesencephalon can be divided into “mes” meaning “middle” and “encephalon” meaning “brain”. By doing so, you can easily understand that mesencephalon is another name for the midbrain. Secondly, while learning the parts of the human brain, you should focus on its functions one by one and try to experience it physically. For instance, you can consider the case that if someone sleeps for long hours, they feel a sort of burden in the anterior part or telencephalon and are unable to memorize things quickly. 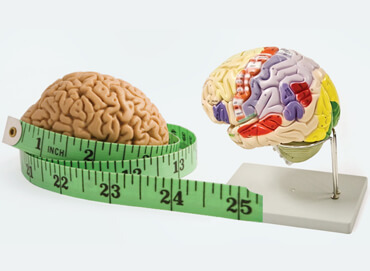 This difficulty in learning and memorizing is primarily due to some problem in the forebrain. Do you agree with this point of view or not? Just comment on it and give arguments which will be very useful for the readers.